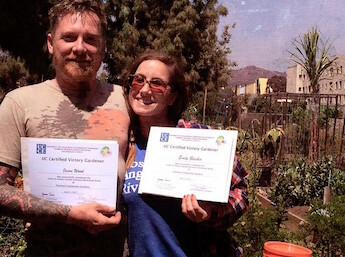 Elliott Kuhn, founder of Panorama City, CA-based Cottonwood Urban Farm. Photo courtesy of Cottonwood Urban Farm. California’s San Fernando Valley, located in Los Angeles County, was once well known for its rich croplands and farming communities. From its founding in 1874 until the mid 1920s, an abundance of fruit orchards, cattle and sheep ranches, and large-scale wheat farms made agriculture the valley’s biggest industry. However, as a result of the arrival of affordable automobiles and rise of the aircraft and motion picture industries, urban development driven by a population boom encroached upon agriculture and the glory days of food production in the San Fernando Valley came to an end. 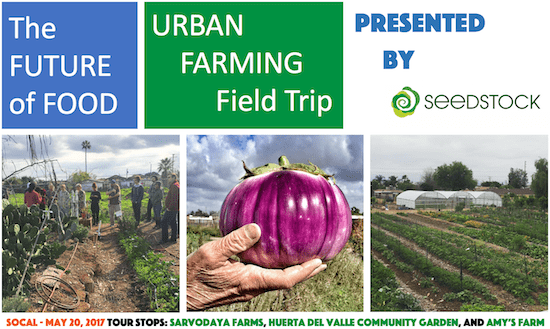 Sponsored Post: Garden Tower Project is the Barn Sponsor for the upcoming Grow Local OC: Future of Urban Food Systems Conference. Colin Cudmore, the inventor of the Garden Tower, a garden container with perforated tubing technology that facilitates composting, the movement of Red wiggler worms and nightcrawlers within it, says he does not consider himself a gardener. Yet, Cudmore, and his two business partners, Tom Tlusty and Joel B. Grant, have designed and implemented full-scale production of a new gardening container concept that includes composting and worms, in a self-contained mini-ecosystem. 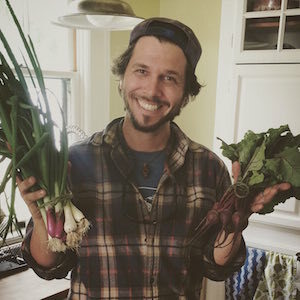 At the urging of his mother, Ann, a food activist in Bloomington, he attended a lecture by Will Allen, founder and CEO of Growing Power on the subject of “Food Security” and “Food Deserts”. What he heard inspired the inventor to find a way to make gardening more accessible to people all over the world. The idea germinated one weekend, as he visited a local farmer’s market in Bloomington, Ind. He noticed a couple of Amish farmers, who were selling seedlings and starter plants, but had few customers, despite the bustling crowd in the marketplace. Curious, he asked the two farmers why no one had bought their starter plants. The answer surprised him. The farmers told him customers did not buy the plants, because the market’s patrons had lacked the time, space and felt they lacked the knowledge to grow their own food. which subsequently nurtured a vision: Turning patios, balconies, and decks into self-fertilizing gardens that would give food-deprived areas of the world a new weapon to fight hunger and poor nutrition around the globe. The idea sprouted, and a vision took shape in the form of a garden container that would provide habitat for a healthy worm culture. What began as a desire to encourage gardening, would eventually lead the inveterate tinkerer to devise a completely self-sustaining gardening container that creates its own compost. The technology needs no electricity, so it may be used around the globe, Cudmore says. The innovative breakthrough was inserting vermi-composting tube. This provides a compost highway, through which worms and nightcrawlers spread worm castings throughout the gardening container. The end result works so well, and creates so many worm castings, there’s enough rich organic fertilizer to spread over the neighbor’s garden beds, too, says Cudmore. With the Garden Tower, anybody may grow 50 plants in one container, without using even one kilowatt of electricity, Cudmore says. Tlusty spent five years working at the Chicago Board of Trade, and through that experience, he gained an understanding of the disparity effects caused by market speculation, in what he calls an “industrial” agricultural system. He observed market dynamics that have crushed small farmers. Cudmore says the reason the design works so well is that roots have access to water and nutrients in a continual down-flow, on a regular basis. The composting worms, and night crawlers, which are easily obtained in most areas of the world, travel through perforations that run the entire length of the column. As the critters move in and out of the column into the surrounding soil, those passageways become oxygen pockets that also revitalize the soil, says Cudmore. A nutrient-rich tea from the leachate is collected in a drawer at the bottom of the system. The Garden Tower Project, founded in 2012, is a socially-responsible business concept, based in Bloomington, Indiana. 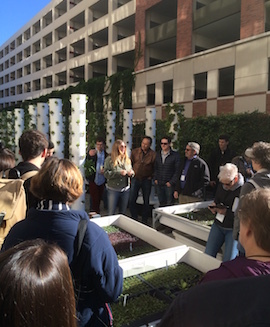 Focusing on the accessibility gap for wholesome food, the Garden Tower Project strives to create easy availability of fresh, organic food to populations who lack either the access, or the ability to grow their own food. The primary goal is to make this happen innovatively, collaboratively, and affordably. Our Mission is to provide a superior portable, Non-GMO & heirloom supporting, gardening ecosystem. The Garden Tower is a revolutionary self-contained garden/composting system with the potential to transform home gardening, urban gardening, and world hunger programs. At the Garden Tower Project, we are passionate about healthy food for everyone. We believe in doing everything we can as a sustainable and responsible business to help those most in need. We are working towards a more resilient and sustainable economic future for individuals and communities. We believe that the Garden Tower can play a major role in this effort. 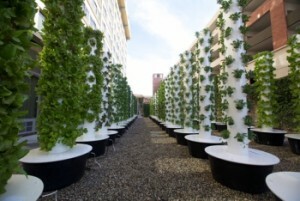 The Garden Tower is a uniquely viable solution for areas of the world where poor soil conditions, water scarcity, flooding and drought contribute to chronic hunger. Further, the Garden Tower is perfect for gardeners of all sorts, especially the millions who lack access to land to start a garden, those with physical restrictions, and beginning gardeners. Anyone who is ready for a faster, easier way to grow food will love it. Absolutely no gardening experience is necessary. The design is elegant in its simplicity, and initial setup is straightforward and easy. The Garden Tower Project has a vision of a world with healthy produce, accessible gardening, and food for all. The existence of a Centralized Agriculture system is faced with a variety of challenges both in the quality of food that’s produced, the impact on the environment, and ultimately being unsustainable. A move to Distributed Agriculture is a good solution to these problems, and we believe that The Garden Tower can be a means to that end. 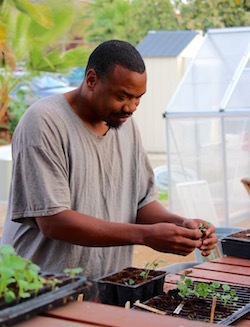 The Garden Tower Project seeks ventures and partnerships with local businesses, Not-For-Profits, Universities, Government and non-governmental agencies, Corporations and Public and Private sector agencies. We seek to educate individuals and communities on the benefits of “Distributed Agriculture”, as a path to increasing resilience during times of price shocks or disruptions to the food supply. Our plan is to teach the importance of concepts, such as, sustainability and diversity while demonstrating this by integration of our projects in the community. The Garden Tower Project will allow individuals and communities to easily become more self-sufficient, sustainable and ultimately create a more resilient local economy. We share a vision of a world enhanced by easier gardening, healthier produce, and food security for all. We believe there is great need for education and community involvement in protecting ourselves from contaminants in our monolithic, over processed and inefficiently transported food supply. Our food system is troubled today, but much great work is being done to create a more sensible, sustainable, and healthy food system tomorrow. Garden Towers, when planted in any community, tend to grow and thrive along with that community bringing fresh, organic produce and a shared sense of beauty, awe and wonder, to those who are attentive.